$1655.46 My first gaming PC build and case mod! Pretty good optical drive. Plays everything nice, and does things quickly. My only problem with it is that sometimes when it is idle it makes strange noises, even when there is no disk. Also remember this drive doesnt come with blu-ray reading software so be prepared to buy some if thats what you got this for. This is a cheap but effective BD reader. Normally I wouldn’t have anything special to say about an optical drive. However, this one is very quiet. The only time I’ve heard it making a significant amount of noise is when burning a standard audio CD at its fastest speed. It plays blu-rays and DVD's... Don't know what else to say about it except I kind of wish I would of gotten one that was a little faster with reading. 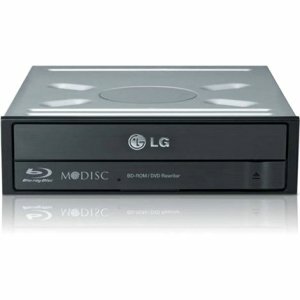 Bought this Blu-Ray optical drive a good while ago, love this thing for burning CD's, DVD's and occasionally Blu-Ray's. Call me old fashioned, but i do like having the option to burn a disk if needed. I paid too much for this and don't use it enough but damn i just can't let it go.